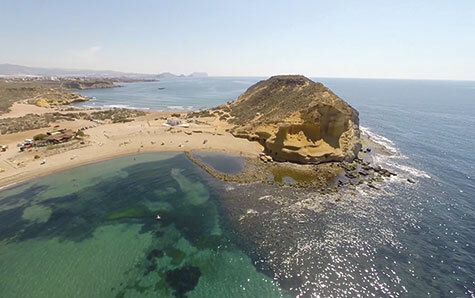 The marvellous coast of Almeria provides glorious sunshine, nature and the sea. 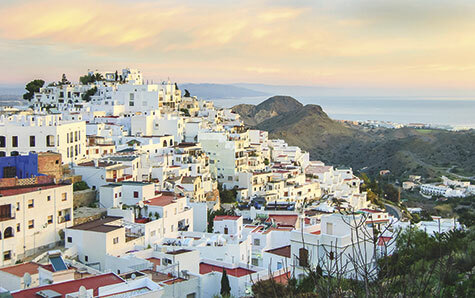 Mar de Pulpí Mediterranean Village is a charming place where white features heavily alongside the blues of the sea. 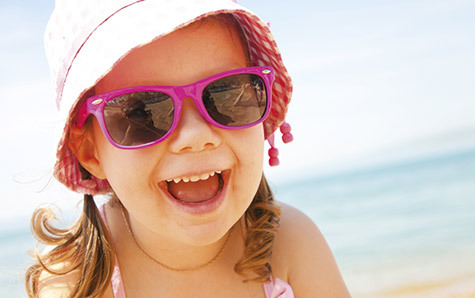 With its Mediterranean climate, the mild temperatures in Almeria are perfect for making the most of all 365 days of the year. 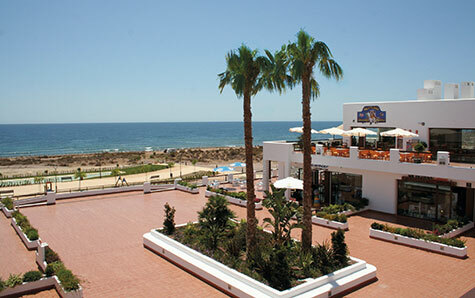 The Geoda Restaurant offers healthy Mediterranean-style gourmet cuisine. 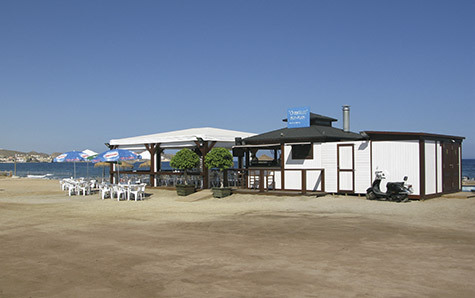 The chiringuito (or beach bar) – highly typical in eastern Spanish gastronomy – is where you can enjoy espetos (sardines barbecued on a stick) and a cool drink while the sea refreshes your feet. A shopping centre with supermarket, food outlets and shops to ensure your life in Mar de Pulpí Mediterranean Village is as comfortable as possible. Hiking, cycling, kayaking… choose what you want to do and set off on your own adventure. 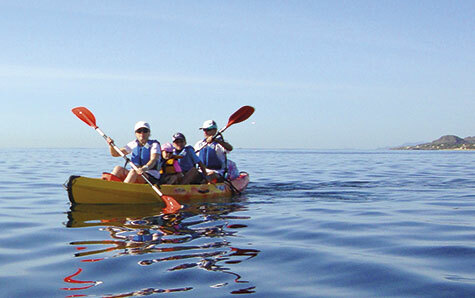 Bicycle and kayak hire is available at your convenience… or take the plunge and enjoy diving in the warm water. 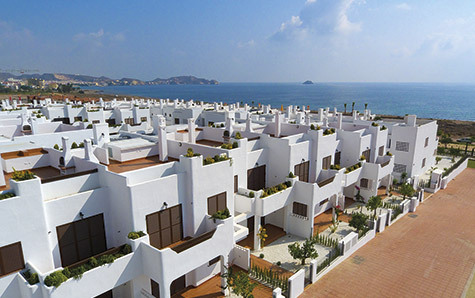 Mar de Pulpí Mediterranean Village is nestled on the Playa de San Juan de los Terreros, an excellent beach with fine sand, crystal-clear waters and rocky coves to be enjoyed with family or friends. Magnificent sports facilities, a gym, classes, a speed track, tennis, padel, petanque, football and beaches… an oasis in which to practice and enjoy a range of sporting activities. Village From its whitewashed buildings, you will enjoy impressive views of the sea, beautiful colourful gardens, swimming pools, jacuzzis… a peaceful place where tranquillity, silence, sport, the beach… Hold the keys to relaxation. The joyful Spanish temperament, their laughter and way of life will make you feel at home, happy and in a unique environment. 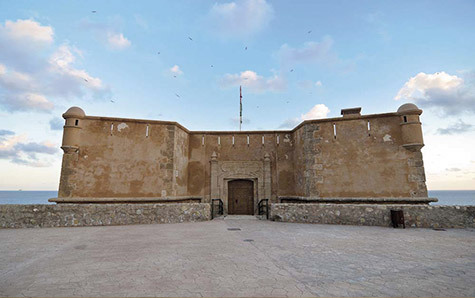 Herradura Castle and Los Terreros Castle were once two forts that defended the population in times gone by. They will now take you back to those times as you imagine how life must have been.